At last! A wrap that fasten with snaps (more comfy round your baby's tummy when starting to sit up) that has gussets on the legs for a neat fit and great containment. 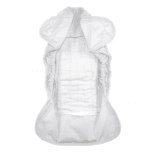 These wraps are ideal for use with any two-part nappy (e.g. LittleLamb bamboo nappies or TotsBots Bamboozles), or with prefolds or terry squares. There's a flap inside at the front and back to help hold prefolds in place. 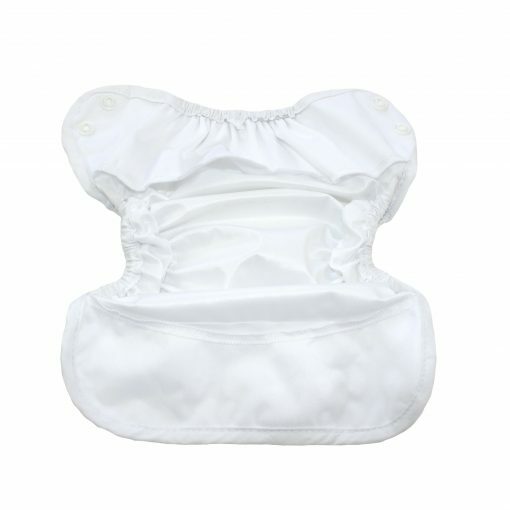 Size 2 - the rise adjusts with snaps on the front so should fit from about 6 months right through to potty training. Available in plain white or a pretty unisex green and grey star pattern.